E o nosso amigo Manfred que me desculpe, não sabia que era Alemão...!!! mas pode sempre melhorar o Português, vindo cá mais vezes...!!! Aber LMAA verstehst du noch ohne translator oder? ...!!! mas pode sempre melhorar o Português, vindo cá mais vezes...!!! Alguma vez, punha-se a comer sardinhas e a mamar jarros de vinho e para além de não aprender a língua, até as que sabe pioravam. Ai é, pois comigo não. Depois de uma grande sardinhada e uns bons jarros de vinho, falo as linguas todas... e mais algumas...!!! Depende, uma grade de cerveja???? Senao.... LMAA (que é uma expressão bem alema). I tried to learn Portuguese but with little success. I've tried all my life, and still have days that do not go so well ! You two must try a dinner with some Portuguese enthusiasts... Portuguese is the most beautiful language. Recently I had the opportunity to loan a AKG K812 from a friend for some days to evaluate. He said, if I liked it, he would probably sell it to me for a reasonable price because he is totally happy with his electrostatic cans (several serious Stax cans and a Sennheiser HE60 with Stax amps and a Alpha Centauri). The K812 is meanwhile a long time in the market and an established classic. With a former list price of almost 1.600 € my expectations were not low and I anticipated to be a proud K812 owner soon. My current situation with cans is quite comfortable, there is a AKG K701, a Sennheiser HD580Jubillee, a Audio Technica ATH-R70x and a Beyerdynamic DT880 600 Ohms. Most of the listening time get two of them, the DT880 and the ATH-R70x which I like both because they complement each other very nicely. Both are uncolored in their way: while the 880 is transparent, crisp, clear but a bit too lean and bright on some recordings the R70x is softer and more full-bodied but lacks sometimes a bit of speed and transparency. Therefore I was open for a true Superior Reference Monitor Headphone which perhaps would offer the best of two worlds? The first listening was with diverse classical recordings, from chamber to orchestra. There was good spatiality and a nice full-bodied tone I liked. Next were two choral recordings (proprius Viska du Vind, 44/16 ALAC rip for CD and Nidaros, a 192/24 FLAC download.) Reproduction of choral music is one of the most difficult for a system. The choir should be presented as a whole while it should be clear that the sound comes from many distinct and different singers (you should see them), plus the perception of the room. To achieve this, the system must have veryhigh resolution and get the timbres right.. But playing Viska du vind with the K812 I noticed that the sibilants (very critical in choral recordings) were not natural and located to each individual singer but more one sshhh over the whole group. Same picture with the Nidaros. A cross check to the DT880 and the ATH-R70x showed that both much cheaper cans have no problem with the sibilances. Hmm. Then I listened to Talk Talk Eden. The instrumental intro was again very pleasant and with good 3-dimensionality, more like listening with speakers than with cans. But the voice of Mark Hollis was more hollow and colored than in my memory. The next check was with film. 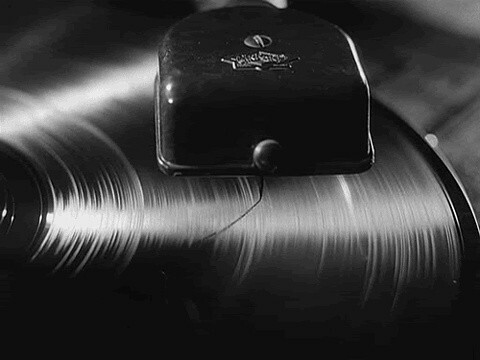 I love the immense of details when the score of a film is played over enFase and DT880 because the natural voices and immense detail of ambient noises of the scene never fail to draw me into a film. The ATH-R70x is also good in that regard but not quite on par. Unfortunately the K812 could not convince me in this regard. Finally I checked out what Reinhard Brunsch (a german manufacturer of can amps) mentioned about the K812: He found, that in the second movement of Tchaikovsky's Symphony in E minor, No. 5 op. 64 Andante cantabile (San Francisco Symphony Orchestra under Michael Tilson Thomas) the K812 shows unusually conspicuous discolorations, especially when the horn solo "dolce con molto espressione" from bar 8 is counter-punctuated from bar 16 by the A-clarinet. The timbral difference and separation of the two wind instruments was, according to Brunsch worse than with the AKG K7xx or 6xx series. In my perception the DT880 and the ATH-R70x mastered this passage indeed (slightly) better than the K812. Then I wanted to know more about the bass qualities I liked with the K812 in classical recordings and listened to "Super Bass 2" by the double bass giants Ray Brown, John Clayton and Chris McBride (44/16 CD rip). While, listening with high volume over the DT880, this live recording put me directly into the club, the presentation with the K812 lacked some atmosphere, perhaps because the bass region was a bit too thick and not fast enough. Since the choral recording my interest to buy a K812 dropped suddenly to zero and the other odds made the thing not better. I expected more from a can that is multiple times more expensive than my personal references. Now, this does not mean that the K812 is a bad can, far from that, it is good and I liked some of its characteristics like the full-bodied sound with classical. But my point is: if we believe the forums, it’s clear that the megabuck cans are way superior to the low and middle class like DT880, K7xx etc. But my own experience tells me it’s not so easy and finally not even true. There are many reports about the „sharp“ treble of the K812. But the treble isn’t really sharp - the DT880 is hotter in the treble - and yet has less problems. My suspicion is, that the K812 lacks resolution in a part of the treble region (which causes the sibilance problem) and has some cavity resonance in a certain region of the middle range which causes problems with some timbres. At this point it should be mentioned that according to some forum writers, a better cable than the stock cable and / or a "mesh" as used in the closed K872 would adress the treble problem of the K812. I could not verify this because I didn't have another cable or a mesh but a can in this price range should be good as it is. To be fair, the K812 is available for 700 € and below now, which is less than the half of the former list price. From a technical and conceptional view I find it a little odd, that the K812 design resembles practically the opposite of the former AKG flagship K1000 -in which the engineers tried to avoid any cavity resonances by leaving off driver cups and ear pads completely and instdead placed the big drivers as free as possible in front of the ears! But the successor of the K1000 is not AKG buth the Mysphere 3, developed by the engineers who made the K1000. Sorry to bore you all with so many words! Please report about your surprising or odd experiences with hifi equipment! Sim, eu sei. O Inglês é afinal a língua mais universal... que eu próprio uso quando estou na Alemanha...!!! De falar Alemão, também não sei nada. (...) Please report about your surprising or odd experiences with hifi equipment! Afaik the Amiron and the DT1990 are based on the same driver but have different sound balancing and many differences in the details. I tend a bit to the DT1990 because they say it's the more neutral and detailed one. And it comes with a second pair of ear pads with a slightly different sound signature. Interestingly, in the german forums Beyerdynamic is very underrated. ... Interestingly, in the german forums Beyerdynamic is very underrated. As french people say: No one is a prophet in their own land !!! secondly Welcome to the Frustrated Club. Not for the K812 that I've never heard before, but because expectations like those you had with those cans I've had several with different equipment for multiple reasons. And when you spend the money I assure you'll going weep. It is known that women are much more careful with quality coupled with aesthetics than we are. When I renewed the furniture in my living room, my full range XTZ 99.36 speakers became too blatant in their imposing matte-black and at same time was they were over-sounding for the room. So, we thought of finding speakers that would meet same quality, price and desired aesthetics. In other words, the true cost-benefit ratio. I'd liked very much of the Forest and Mani Two by Totem Acoustic, but I was advised to choose Arro or Staf also by Totem, as better choise for my room. They had had very good reviews. Howerver both proved disappointing to me. The announced exquisite middle-range frequencies was reveled as too dark, unnatural and the high and bass frequencies had both a unexpected roll-off. The sound of an classical orchestra the violins section was like dipped in water without natural extension. This issue only was solved when I moved to this new house in Freiria. Now I've got the same furniture, new good architetural design for the main living room and the speakers that match well with the sound I like, the room, the aesthetics and with my wife's sense. No tópico ao lado gabei recentemente a atitude da Beyerdynamic que continua a fazer excellentes Can's, sem perder de vista a relação qualidade preço. Em alguns períodos do dia, ao efectuar vigilância no Ilhéu Chão a pé ou quando estou em terra firme continental, utilizo uns baratos e eficientes Beyerdynamic DTX-11 no leitor MPtretas (vulgo MP3). Para melhorar a resposta nas frequências localizadas no espectro inferior, optei por colocar esponjas em cada auscultador. A few years ago I was invited to listen to the system of a german turntable manufacturer. With much expectation I sat down in the sweet spot and waited for the first tones. But what was that? Thin, lifeless, 2-dimensional??? Could that be with such high class equipment? My host told me later that he assumed my reaction and was very amused to see how my face fell. Further listening was made with a Lyra (don't remember the exact model) in a Kuzma 4point arm on the same turntable - and the sound was as good as assumed and expected! Na tipologia MC, a Goldring Legacy foi a célula que mais gostei no WTL Amadeus GTA. É uma delícia! Foi o que fiz durante anos antes de de me zangar complétamente com as MC's. My only happy co-habitation with an MM (a Signet with a boron cantilever) was at the time i had an ET-2. Eventually got annoyed with the noisy air pumps and that was the end of it. For me the ET-2 is still one of the best arms i have had. Estou farto de mandar "bitaites" neste tópico e ainda não trouxe a esta barra de tribunal, alguns dos meus arguidos com causas críticas e um móbil do crime que pode levar a uma moldura penal elevada, em termos de anos de prisão. A combinação da elegância com o luxo de joalharia, no ouro frontal, e a provocação e ousadia da roupa, ou, melhor dizendo na falta dela, leva-nos a sonhar com um objecto de excepção, em todas as vertentes inclusivamente no que ao som diz respeito. A norte americana, já motiva maiores espantos, porquanto os States, têm mais prática na "brutalidade" das linhas e até um sentido algo grotesco e pró-piroso das mesmas. Mas a Audio Research, contradiz este sentido. Elegante, sem deixar o sentido high-tech (habitual), com um retro bem patente mas actual e elegante. Não entrando em pormenores do processo, porque o mesmo ainda está sob segredo de justiça, e exceptuando a Audio Research, nalguns dos equipamentos que produz com bastante interesse, pelo menos num pré de fono e num cd, ouvidos, a família de amplificação destes e dos Jadis, cometem (para mim, claro) o mesmo tipo de crime. - Palco sonoro por vezes demasiado estendido em largura mas sem grande profundidade e altura. Algo confuso. A par destes crimes cometidos e como cúmplices dos mesmos, temos sempre as mesmas colunas no final do processo musical em curso. As Sonus faber, marca que tanto gosto mas, com estas amplificações, deixam-se levar pela ganância do status. Sempre que os ouvi no importador, que por sinal é o mesmo, foi com esta marca de transdutores, na qual não reputo como o melhor casamento. O Ministério Público do Áudio está a fazer os possível e os impossíveis para integrar a causa crime das SF no mesmo processo de Julgamento e esperamos que transitado o processo em tribunal, o futuro se apresente muito mais prazeroso do que até então. Assim, a acusação do processo de investigação efectuada pelo DIAP - Departamento de Investigação do Áudio com Prazer - já foi formulada e espero novos desenvolvimentos, por forma a que a Bota - estética - me diga e muito com a Perdigota - prazer de audição. ... Se duas células apresentarem dados técnicos semelhantes, são ou não comparáveis no mesmo sistema? Se voçê casar um amplificador X com vàrias colunas diferentes, estas ultimas com especificações diferentes e que o som seja sempre lento e pouco definido ... pode afirmar que isso vém do amplificador pois existe uma "constante repetitiva"! 2) Depois agarre num Rega Planar com braço RB300 e monte de novo as duas células e toca a comparar! Neste caso a Shure vai ter mais luz e abertura, mas continua sedosa ora que a Ortofon vai aparecer aberta e dinamica ... com "garra"!!! Estimado Gonçalo, nunca consegui viver com nada que fosse verdadeiramente feio. Eu seu que quer as pessoas quer as coisas, devem ser tidas em conta tendo em conta os seus princípios intrínsecos. Existe sempre um mas, o "belo" é um facto sempre a ter em conta. Espero não ter que efetuar a abertura da Instrução validar esta ideia, tão só e apenas, porque o TIC neste momento está cheio de toupeiras. ... a família de amplificação destes e dos Jadis, cometem (para mim, claro) o mesmo tipo de crime. Pelo que disse atràs ao amigo José Miguel, pareçe-me evidente que para retirar conclusões seja necessario cruzar vàrios aparelhos. Se um Jadis e um AR acoplados a vàrias colunas diferentes e com caracteristicas sonoras complementares, continuarem a brindar de um som lento então são eles os culpados. Se vàrios outros aparelhos a vàlvulas, acoplados às mesmas diferentes colunas continuarem a produzir "lentidão" ... então é possivel que a tecnologia a vàlvulas seja ela a responsàvel! Se uma excepção aparecer nestes dois casos ... então é necessario de vasculhar até encontrar a causa! O que significa "lentidão" ("velocidade")? Como é que se identifica através da escuta? Qual seria um sistema que poderiamos usar como referência (isto porque a avaliação subjectiva é uma comparação com referências)? Quais são os factores que podem causar "lentidão" num amplificador? Alguma das medições possíveis de efectuar a um amplificador serve/servem para illustrar essa característica de "velocidade"? - Também não considero que os AR e os Jadis estejam neste plano de sonoridade, e tão pouco que sejam más amplificações. Seria uma estupidez da minha parte fazê-lo, sem mais "elementos de prova" em concreto. Juridicamente termos "matéria de facto" para integrar esses "elementos de prova". Estava sim, e percebeste, a atingir os casamentos menos felizes de amplificação vs colunas seleccionadas para "noivas". Então aqui as verdadeiras "culpadas do crime", poderão ser as colunas. Por isso, disse que o "processo ainda estava em segredo de justiça", como uma metáfora de que me era completamente desconhecido, se as SF eram, ou não, as prováveis responsáveis pela escuta menos agradável que até agora tenho tido com estes equipamentos, pois nunca tive a oportunidade de os ouvir estes com outras "meninas falantes" (Ghost4u). Com modelos de marcas diferentes. Também por outro lado, e apanhaste completamente a minha mais directa crítica, estava a abordar o facto de os importadores / distribuidores insistirem em sessões de audição (tardes inteiras, que por vezes se prolongam por noites) com "sets" que não se apresentam com a melhor afinação - ou seja, o casamento mais ideal possível entre todos os elementos - e é bem verdade que constituem um verdadeiramente um enigma, também para mim. Devo dizer aqui que, para a minha forma de estar, é facto eu não ter nada a ver, nem me meter, com os objectivos comerciais, ou outros, que esses distribuidores têm quando fazem estas demonstrações. Continuo a agradecer-lhes o terem me convidado a pertencer ao grupo, muitas vezes restrito, de ouvintes dessas tardes / noites. Mas que é um enigma, é! Pelas mesmas razões que apontaste. 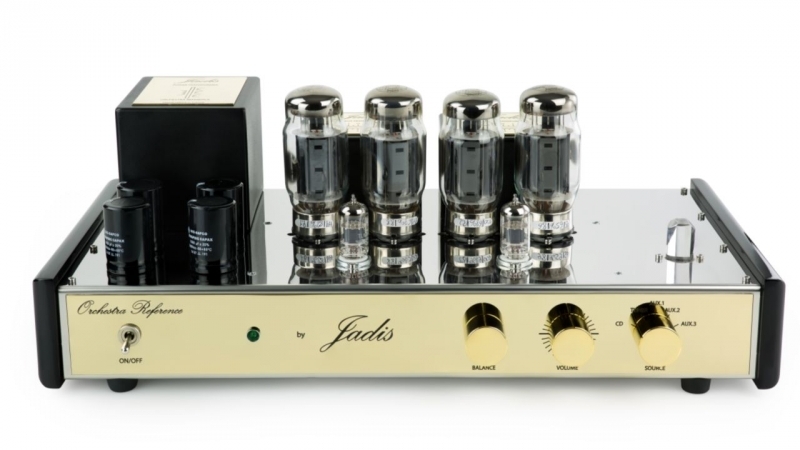 Pessoas que possuam amplificação da Jadis, não conheço nenhuma, mas pessoas a possuirem Audio Research, conheço (ou lembro-me de já ter ouvido nos seus ambientes familiares), pelo menos 3. Todos com Sonus Faber no fim da cadeia de hardware. O resultado de escuta é praticamente sempre o mesmo. Chegado aqui, tenho a dizer, que por várias outras experiências com válvulas, mesmo em minha casa, as Sonus Faber não são as melhores e ideias parceiras para tal tipologia. Nunca eu, ou outras pessoas, que fizeram este tipo de experiências, com vários modelos da SF (mais modernos, ou mais antigos), conseguimos resultados satisfatórios. Quando também metaforicamente digo que "Assim, a acusação do processo de investigação efectuada pelo DIAP - Departamento de Investigação do Áudio com Prazer - já foi formulada e espero novos desenvolvimentos, por forma a que a Bota - estética - me diga e muito com a Perdigota - prazer de audição. ", quero dizer e posso já adiantar que há já algum tempo que está planeado entre mim e o Joaquim Pinto e agora, há 2 dias atrás, com o Fernando Mota a audição das minhas Concertino com um JP Viriatus, no próximo PISA II. Vamos ver o que dá a experiência. - Fica para breve, ver/ouvir como é que a experiência, que se prevê num futuro próximo, vai correr. Depois relato aqui. É uma promessa! ... O que significa "lentidão" ("velocidade")? Como é que se identifica através da escuta? Qual seria um sistema que poderiamos usar como referência (isto porque a avaliação subjectiva é uma comparação com referências)? ... há já algum tempo que está planeado entre mim e o Joaquim Pinto e agora, há 2 dias atrás, com o Fernando Mota a audição das minhas Concertino com um JP Viriatus, no próximo PISA II. Vamos ver o que dá a experiência. Without question this is not fully understood. Well, it is on empiric level, but this only gives us directions and not explanations. Looking at Jadis, the principle issue IMHO is the presence of low current, high Rp driver. This simply does not lead to fast sound. The effect of negative feedback is also similar: reduces subjectively microdynamics and speed. The presence of multiple parallel output devices works in the same directionand and is especially offensive when coupled to a weak driver. 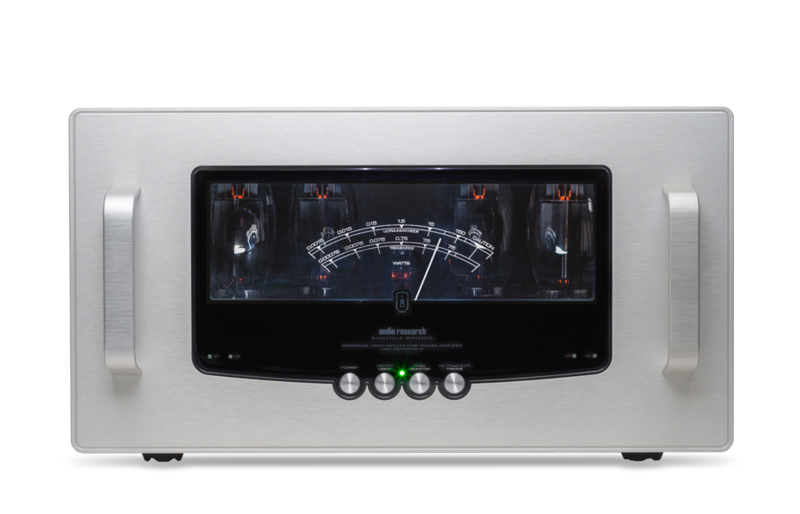 It is all about compromise and of course, this is the desired sound signature of Jadis, ARC, Krell, etc. It is the sound most faithful customers lust after. If you really want speed, this is very easy to obtain with valves, but the resulting amp will not be to everyone's taste and will certainly not have the ability to drive a wide variety of speakers. It is hard to build such an amplifier with a power exceeding 50W. It is also hard to obtain a good damping factor, so speaker selection is crucial. Otherwise it is pretty simple, yet quite expensive. My favourite commercial example of this type is Thrax Spartacus, but of course there are hundreds of similar amps. Even if i agree with some of these principles, its rather simplistic to explain an amp "subjective speed" like that, and there's always an exemple that proves the opposite. Lamm's 6C33CB monoblocs are an example of a fast subjective amp ... and he doesn't complain with most of these features! Audio is a complex world!!! Yes, you can't find powerful DHTs. And those that exist have a very high output impedance = bad damping factor. So you're stuck with using them band-passed driving horns speakers / compression drivers. Impractical in many ways, and extremelly expensive. I mostly agree. The question was what lends speed to the sound and i expressed my opinion. In the particular example of the Jadis, those factors IMHO determine the sound character and the lack of subjective speed. I did not mention speed as being of paramount importance in my view. As for power and output impedance, again, demands vary. One can be perfectly happy with 12W in an average room with slightly above average in sensitivity speakers. The A/B transistor amp, provided current feedback is used can sound impressively fast and is obviously a much more practical solution. I use an amp like this daily. Não vamos discutir as colunas por agora e vamos antes focar a nossa atenção na amplificação. Dizes que a sensação de "velocidade/rapidez" está directamente relacionada com a resposta aos transitórios. Quais são as medições que nos informam sobre a velocidade resposta aos transitórios de um amplificador? E a distorção harmónica / intermodulação, e o noise-floor, não afectam também a sensação de "velocidade/rapidez"? A "rapidez" é um parametro subjectivo ... então não se mede, ouve-se !!! Este ano tive o privilégio de estar a um metro desta magnifica obra que para mim simboliza o simbólico e o belo como poucas obras. Preferes que não exista correlação entre medição e escuta...tant pis. ... Preferes que não exista correlação entre medição e escuta...tant pis. É claro que estamos, Ricardo! Então os equipamentos de áudio servem para quê? Não é para reproduzirem música? Se uma gravação tiver a qualidade mínima exigida, a percepção dos transientes - o tempo de passagem do silêncio ao ataque da primeira nota - e entre outras qualidades, principalmente em tempo e características dessa passagem. Um equipamento que nos dê essa percepção de forma correcta e a expectável, então é porque tem/ dá uma sensação de velocidade. Neste caso certa. As diversas versões da música/ tema, também nos poderão fazer ter uma percepção do tempo utilizado, entre elas, que poderá ser mais correcta ou menos, mas também, e independentemente disso mais agradável ou menos. Mas mais uma vez é importante que um equipamento nos ofereça essas cambiantes entre versões com a percepção correcta do tempo com que foram escritas. É sempre de música que estamos a falar. Caso contrário o nosso cérebro não processa, ou processa mal o chamado PMEC - Pricesso Musical em Curso. O equipamento oferece-nos (reproduz) aquilo que está gravado com maior ou menor fidelidade. As ressonâncias da sala podem produzir um efeito subjectivo que podemos descrever como um arrastar do grave; isso não tem a ver com a música mas com a reprodução da gravação. Uma "mini-monitora" cuja resposta cai a pique abaixo dos 100Hz pode soar mais "rápida" porque não interage tanto com a sala, mas isso não deixa de ser errado (a menos que o instrumento ou voz não desça tão baixo). Sempre considerei muito importante a questão do Timing/ precisão temporal na reprodução de música gravada. Quando há essa precisão tudo me parece bem mais realista. Assunto: Re: Tribunal das escutas!